Allison Rose Widderich was an exceptional student, and an amazing athlete, but more importantly, she was a sister, a daughter, and a friend. During her junior year of high school as a family, we started on the search for her next step in life. She fell in love with Wake Forest University. She was on a path to become a doctor, and their school motto spoke to her. It express exactly how she wished to live her life, and was part of why she picked it as her next place. As we think about and remember beautiful Allison please let the Motto of Wake Forest University help you understand the person that she was, and the person that she hoped to become. It’s about us, and the greater meaning of what it means to be human. Our motto, Pro Humanitate (For Humanity), is a calling to use our knowledge, talents and compassion to better the lives of others. It can mean donating time and resources to our communities or simply a lifelong commitment to pursuing our best self. No matter your personal interpretation, it is an opportunity to leave the world better than we found it. 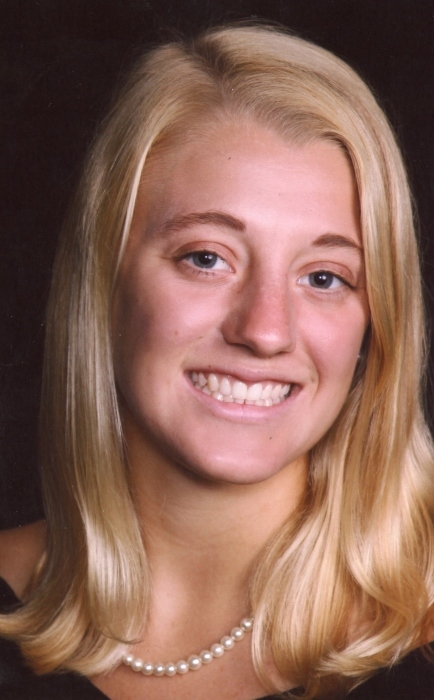 Allison Widderich, 17, passed away on Sunday October 28, 2018. She was the daughter of Kevin and Amy Widderich who survive. Allison loved the gym, playing soccer with the MYSA Hurricanes, swimming and eating at Moe’s. She also loved her sisters and cuddling with Harry 11. She was a member of the Dogwood swim team and captain of the Eastern Alamance Lady Eagles Soccer Team. Allison was President of the Key Club, a member of Student Council, Dream Team, National Honor Society, Foreign Language Honor Society and the Science and Math Honor Society. She had recently been accepted to Wake Forest University where she had planned to study Medicine. Other than her parents she is survived by her sisters; Sarah and Molly, grandmothers; Marianne Widderich (Oma) and Linda Deutsch (Grammy), aunt; Regina Widderich, Uncles; John and Rhonda Deutsch, Andrew and Jennifer Deutsch, Godfather; Gerhard Siebert and many loving cousins and friends. She was preceded in death by her grandfathers; Gerhard Widderich and John Deutsch, Godmother; Monica Siebert and her uncle, Burnell Widderich. The family will receive friends on Thursday November 1, 2018 from 6-8pm at McClure Funeral and Cremation Service in Mebane. A Celebration of Life service will be held at 4:30pm on Friday November 2, 2018 at Alamance Lutheran Church with Pastor Ron Philabaum officiating. In lieu of flowers memorials may be made to the Allison Widderich Memorial Fund. Checks must be made out to MYSA sent to PO box 361 Mebane NC 27302 on the memo line put Allison Widderich Memorail Fund. Also gifts in memory of Allison can go to the Gastroenterology Research Fund (348908) and mailed to The Medical Foundation 123 W. Franklin St. Ste 123 Chapel Hill, NC 27516 a note should be made in the NOTES section on the check that it is in memory of Allison Widderich. Or an online address is go.unc.edu/GastroTribute and the correct designation will appear. The donor will need to complete the information that the gift is in memory of Allison Widderich.